Native to Eurasia, Chukars (Alectoris chukar) have been introduced throughout dry habitats of the western United States and southern British Columbia. 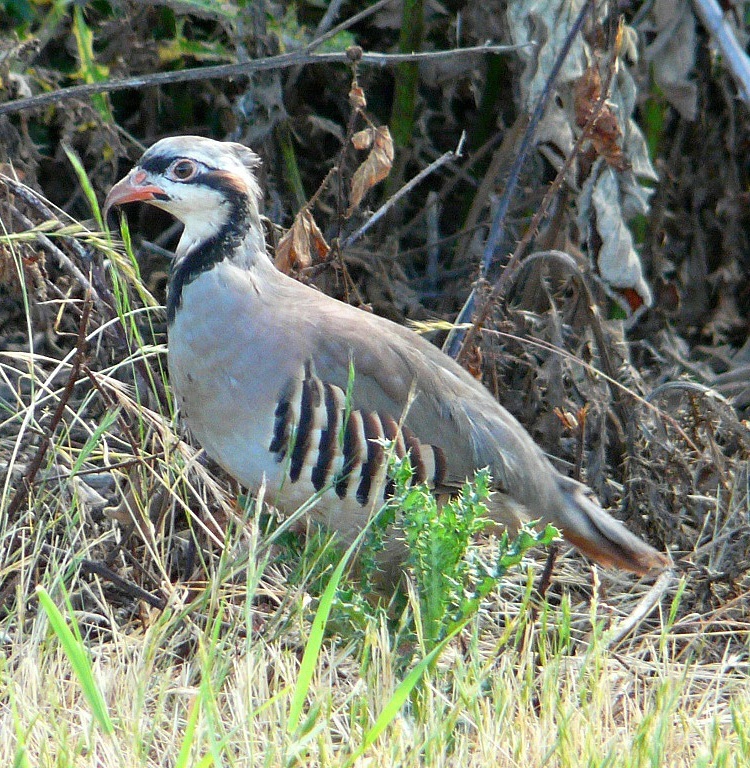 Chukars are well established in rocky and steppe habitats in eastern Oregon. This individual was found on Sauvie Island (Birding Oregon p.55), where it was probably released for hunting or dog-training purposes. 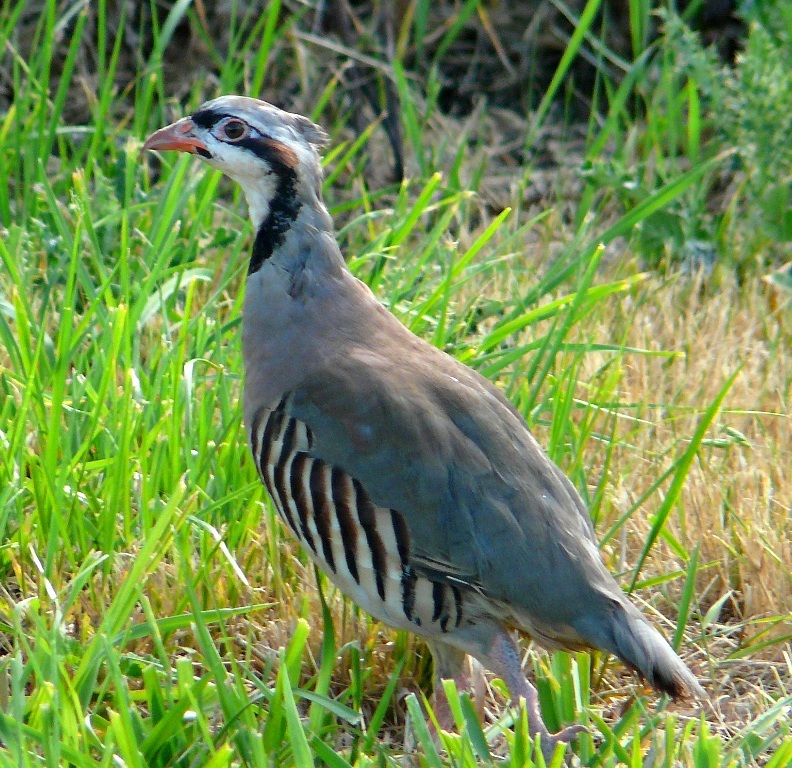 Since Chukars are game birds, and in fact were introduced to North America specifically for hunting, it is legal to raise them in captivity and sell the birds and their eggs. Of course, being legal and being ethical are not necessarily the same thing. Even if we didn’t know the range of “wild” Chukars in Oregon, there are two clues that suggest that this bird was raised in captivity. First of all, the legs are very pale pink. The legs on a wild Chukar should be a dark red. The color of birds is often affected by diet. Second, if you look closely, you will notice that the bill has a long hook on the upper mandible. Birds held in captivity are often susceptible to bill abnormalities. The bills on wild birds are naturally worn down as the birds forage. Whatever this bird’s origins, it is always nice to see this attractive partridge in the wild. This entry was posted in species profile and tagged Chukar. Bookmark the permalink.